If early reports of iPhone 4 problems are any indication of what's ahead the thousands of giddy Apple faithful, waiting in line for an iPhone, there could be trouble ahead. Some early iPhone 4 owners are reporting a few minor problems you should be aware of. Here's a guide to what to expect and what to watch out. 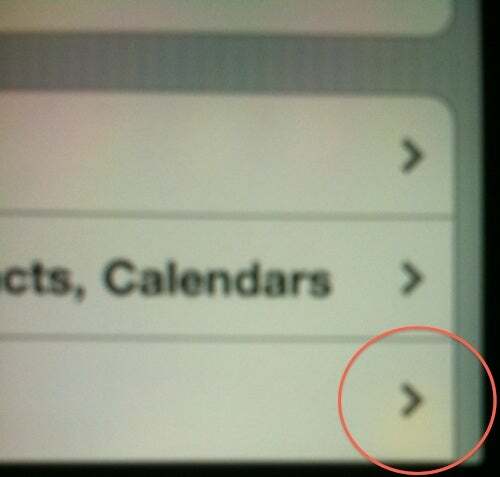 Once you've unboxed your iPhone 4 today you might want to check your device's display for discoloration. Some iPhone 4 owners who received their devices a day or two earlier than expected have complained of yellow discoloration on the iPhone 4's new 960x640 retina display . Some prospective iPhone owners had a mild freakout on Wednesday evening after FedEx's package tracking system crashed. It's unclear whether or not iPhone 4 fans crashed the system by obsessively tracking the route of their beloved new smartphones. No doubt the fact that there were so many problems with iPhone 4 pre-orders added to the overall anxiety of anxious Apple customers. Never fear, however, FedEx says "package deliveries are proceeding as normal." So there's no reason to expect delays today. The new iPhone 4 has several new features that are supposed to help guard it against everyday wear and tear most cell phones experience. Apple's latest device features aluminosilcate glass on the back and front that is thirty times stronger and twenty times stiffer than regular plastic. The new device also features a steel band made from Apple's own special alloy that has been forged to be five times stronger than regular steel. Apple says this steel band gives the iPhone 4 "impressive structural rigidity." So how does these new durability features hold up under torture? Engadget did their best to scratch the glass, and eventually succeeded. The gadget blog didn't detail how they scratched the device or how long it took them, but Engadget did say that you can see "incredibly minor " scratches if you place the iPhone 4 under bright light and hold it at the right angle. Wow, sounds like a deal breaker to me. Repair services provider iFixYouri tested out the steel band's durability by dropping a fully-functioning iPhone 4 directly onto concrete. In iFixYouri's tests the iPhone 4 shut down completely after the second direct drop, but the screen didn't crack until the fourth drop. By comparison, during PCWorld's stress test of the iPhone 3G , Apple's second generation smartphone had a few screen cracks after the first drop. But the iPhone survived a total of five drops before the screen was significantly damaged and shut down completely. If you've got an iPhone 4 you'll want to make sure you get a protective case for the device, because if you do crack that screen you'll have to replace the outer glass, digitizer, and LCD panel, according to iFixit's recent iPhone 4 teardown . Embedded antennas, not so genius after all? During iFixit's teardown of the iPhone 4 earlier this week, the gadget repair site described the iPhone 4's four antennas embedded into the structural steel band as a "work of genius ." However, some users in the Macrumors forums have posted videos and complaints that when you hold the iPhone 4 by the steel band, your reception bars start to decrease down to zero. Some are claiming this has caused dropped calls, while others say nothing happens. This problem may also be related to a software bug The Wall Street Journal's Walt Mossberg discussed in his review of the iPhone 4 . Macrumors , however, thinks this might be an ongoing issue with the iPhone in general, and not specific to the iPhone 4. To make its point, the blog found a video showing the same problem with an iPhone 3G .